The second leg of the UEFA Champions League quarterfinals kicks off on Tuesday with Manchester United travelling to the Nou Camp as they look to overturn a 1-0 deficit. 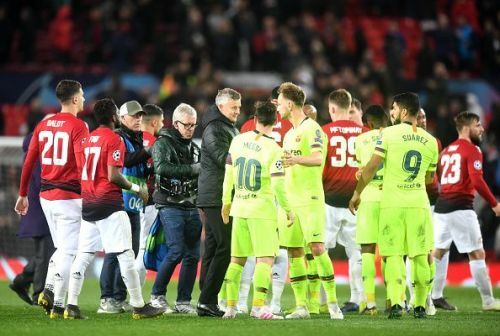 The home side rested 10 of the players that started against the Red Devils last week against the lower ranked Huesca and is raring to have a go at home after United largely frustrated them at Old Trafford. Moreover, the Blaugrana are unbeaten at the Camp Nou for the past 6 years with their last defeat coming in 2013 against Bayern Munich. Manchester United would have had some of their confidence back even though they had a lacklustre victory against West Ham on Saturday. Ole Gunnar Solskjaer and his men will be looking for another famous come back victory against another European heavyweight. 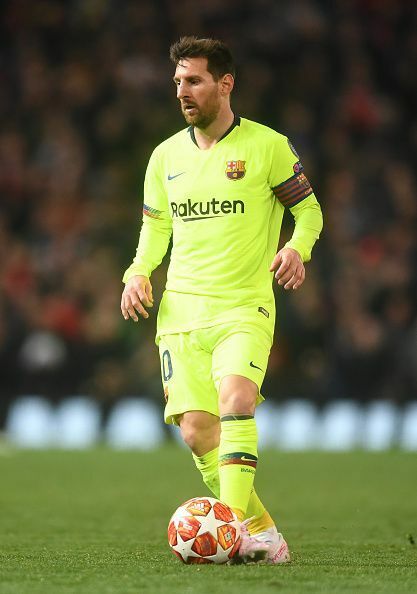 Lionel Messi will be rearing to go against the Manchester United defence after failing to score against the United defence in the first leg. The Argentine magician has scored 31 goals and provided 11 assists in his last 26 Champions League matches at home. Paul Pogba reached his best ever goalscoring figures in a season when he twice scored from the box to help Manchester United beat West Ham. The Frenchman though will need to up his game and boss the midfield if United are to win against Barcelona on Tuesday.